"If you master only one herb in your life, master cayenne pepper. It is more powerful than any other." Cayenne pepper was found to have potent effects in the heart and circulatory system and even a lifesaver in the case of heart attack. Beside the other health effects illustrated in the picture below, cayenne pepper also has significant health effects on respiratory system and mucus membranes. In sore throat a gargle with cayenne pepper tea and a pinch on natural rock salt will cure it. The capsaicin in cayenne pepper stimulates secretions and protects mucus membranes from upper and lower respiratory tract. 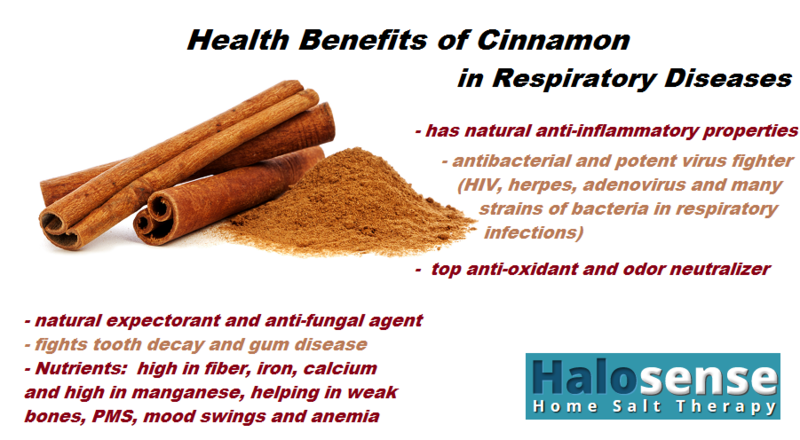 It clears the mucus and opens the airways from nose and lungs, clears the sinuses and promotes sweating. Drinking cayenne pepper tea is beneficial in colds and flu. Cayenne pepper is a good source of beta-carotene that has great effects on reducing symptoms in asthma. It helps in developing healthy mucus membranes in the nasal passages, sinuses, lungs and urinary tracts and so providing protection against invading pathogens, it increases immunity to infections. Due to its high capsaicin and beta-carotene content, cayenne pepper is an excellent decongestant and expectorant, make it useful in cystic fibrosis where the transport of mucus is altered. It loosen phlegm or mucus from the lungs and airways, reduce sweling and inflammation on the respiratory tract easing breathing problems and shortness of breath. 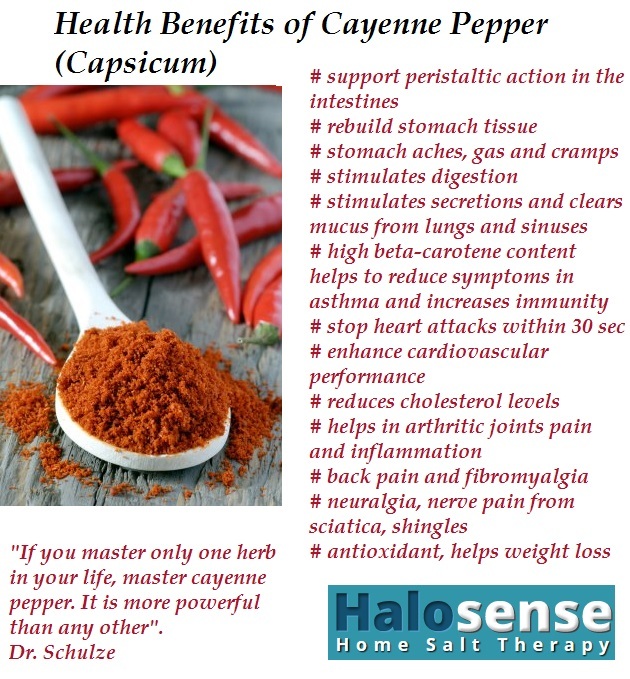 Due to these health benefits, using cayenne pepper together with home salt therapy is highly recommended to potentize the benefits in respiratory diseases. Lots of reasons to include cayenne pepper in your diet! Hay Fever known in medicine as allergic rhinitis, is an allergic inflammation of the nasal mucosa and nasal airways to pollens of any kind of plants, including those used to make hay. The symptoms are similar to those of a common cold or flu: stuffy nose, runny nose, sneezing, itchy and watery eyes, inflammation of the nasal passages, sinusitis, breathing difficulty, increased clear watery mucus. Allergic rhinitis refers generally to an allergic reaction caused by any type of allergen, such us pollen, dust, air pollution, animal dander (shed skin and hair), chemicals, etc. Individuals with a sensitive immune system react to these allergens once they are inhaled. 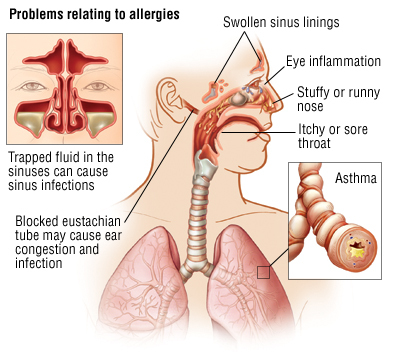 The allergens trigger the production of antibody immunoglobulin E (IgE) in such individuals, this causing the release of histamines and other chemicals, resulting in the allergic symptoms described above. Allergies are very common today and increasing each year. Heredity, developing itself in decrease immunity with each generation, and environmental pollution contribute to a predisposition to allergies. Western countries are more affected and the trend is growing. Hay fever is usually caused by pollen of specific seasonal plants, most common in spring. However, it is not unusual to suffer from hay fever throughout the year. The pollen that causes hay fever varies by regions and between individuals. The most predominant pollen is the tiny, almost invisible pollen from plants that are pollinated by wind and not those pollinated by insects. Those pollinated by insects have large pollens which are not airborne being too heavy. In Japan, the most commonly allergic pollen comes from two native Japanese tree species, used in massive reforestation after the World War II, cryptomeria and Japanese cypress trees. In North America, the most common allergic pollen is ragweed, late summer and fall. What is the treatment in hay fever?… How are allergies diagnosed? The goal is to prevent and reduce the symptoms in hay fever or allergic rhinitis, as there is not a real understanding of the cause of allergic reaction in western medicine. Avoiding the allergen is the most effective measure, if it can be applied. To control symptoms, doctors prescribe intranasal corticosteroids, associated or not with oral antihistamines and decongestants. Long term treatment with corticosteroids is not recommended due to the side-effects of prolonged steroid therapy. 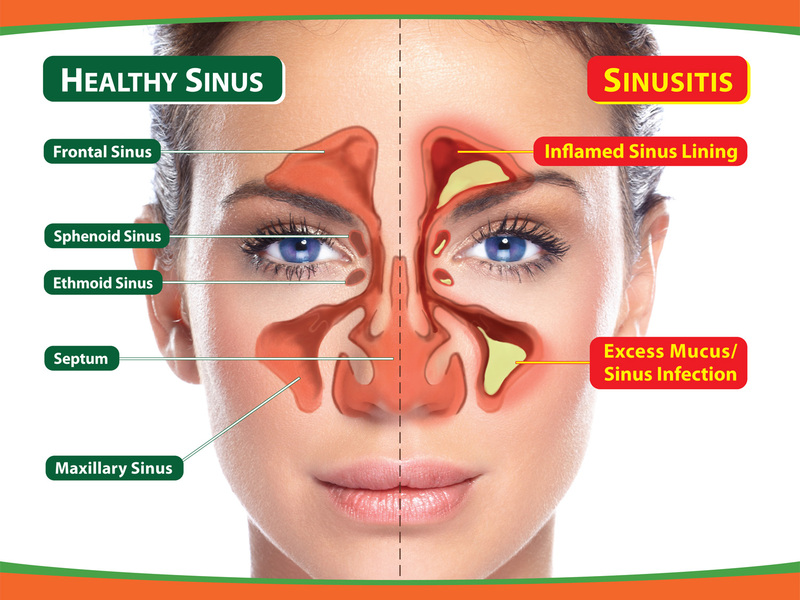 Nasal irrigation with saline solution can also help to wipe-off the allergens and clear the nasal passages. Desensitization to allergens, by immunotherapy or allergy shots, can have some results if it is given for one full year, but it is discontinued if there is no improvement after five years. Desensitization and increased immunity of respiratory mucosa to allergen have been seen in prolonged aerosol salt therapy. Using home salt therapy on a daily basis, for 7-8 hours a day, for at least three years, greatly improves the respiratory immunity to infections and allergens. 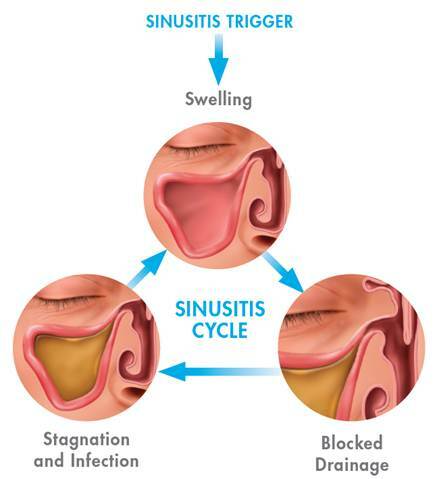 Nasal allergy due to its chronic nature, can cause recurrent sinusitis, malformation of the nasal passages, nasal polyps, otitis media and hearing problems, orthodontic problems and there is a high risk in developing allergic asthma, as the sensitive area grows from the nasal passages to lower respiratory tract.